The best Costa Rica day tours from San José Costa Rica’s capital city of San José and the surrounding Central Valley has the biggest urban developments of Costa Rica. This destination offers a variety of metropolitan activities and cultural experiences with adventurous thrills well within reach. Located in the center of the country, this area is known of its cool, “spring”climate and fertile soils. Visitors arriving at the Juan Santa Maria International Airport can use San José privileged location as a hub to access the natural wonders of Costa Rica. Go to the Pacuare River and enjoy the best rafting tours of the country. Or, travel less than 2 hours to visit one of the most popular family attractions, the La Paz Waterfalls Gardens Nature Park. The variety of Costa Rica day tours from San José include visits to coffee plantations and great hikes to volcanoes and national parks. Start by visiting a Costa Rican trademark, Doka Coffee Estate, an authentic Costa Rican coffee plantation. Later continue to La Paz Waterfall Gardens where you can admire and enjoy waterfalls, rainforest, birds, butterflies and tropical flowers. Another option of your Costa Rica day tours from San José is the Pacuare white water rafting day Tour. You will embark on an adventure into the heart of one of Costa Rica’s most impressive rainforests. You will venture through the rainforest gorges, spot rushing waterfalls, and experience the adrenaline- rush of pounding rapids. The San Luis Hanginbg Bridges is a great way to learn about the different ecosystems of the tropics from the forest canopy. Start at the humming bird garden and continue for a walk through 6 hanging bridges ranging from 95- 250 feet long (about 1.2 miles total). You will see the different species of animals and the diverse plants that inhabit the microclimates of the primary and secondary rainforest. At the end of the tail, you will also have the opportunity to stop at the butterfly farm located inside the San Luis Adventure Park. 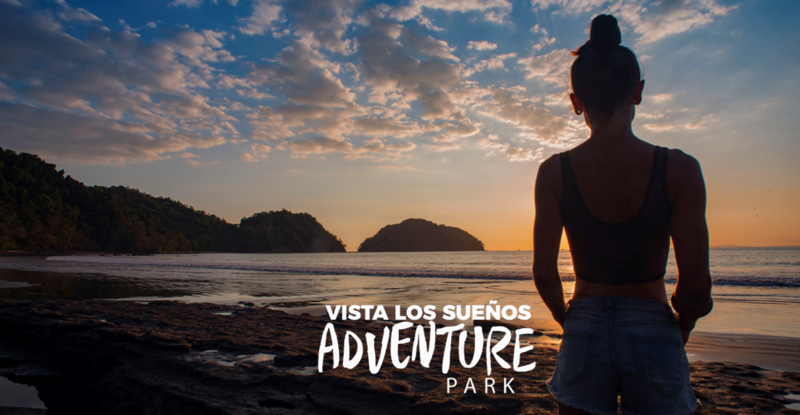 The most requested nature and adventure Costa Rica day tours from San José city are the Zip line, the Horseback riding and the ATV tours at “Vista Los Sueños Adventure Park”, located in the Central Pacific, 5 minutes north of Jacó Beach. This is a full day activity. They will pick you up at your hotel and then, along the way you will enjoy some breathtaking views of the mountains and the famous Tarcoles River, where you will have the opportunity to view and take photos of crocodiles in their natural environment, some of them measuring up to 19 ft. Long. At last you will arrive to your destination and you will have the opportunity to enjoy one of the best Zip Line Tours in Costa Rica and you will be able to choose between the horseback riding to the Waterfalls or the ATV jungle adventure in the rainforest. This amazing tour includes tropical fruits and cold water, bilingual guides and a typical Costa Rican lunch. If you want to live and make your adventure unforgettable don’t hesitate to book your zip line, calling free from the USA at 1 800-406 6280 or send a whatsapp from 7:00 am to 8:00 pm, or you can email them at reservas@vlscr.com. Prev PostIt’s your off day at work in Costa Rica and you discover that you have not planned what to do with the free time you have earned! ?